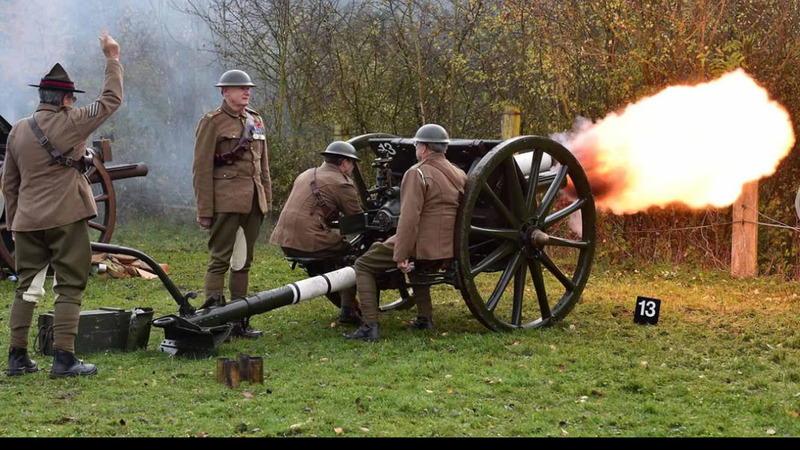 The 100th anniversary of the Battle of Passchendaele was marked on the 11th November 2017 by a 100 gun salute, fired at Fort de Seclin near Lille France with WW1 era Ordnance QF 18 pounders. One of the guns was manned by ex RNZA personnel, along with people from other artilleries. The final photo in the first link below shows two of the RNZA gun crew - Maj John Tulloch RA (rtd) formerly RNZA, and Maj Dennis Dwane RNZA (rtd), in 1917 period uniforms (and their own decorations). 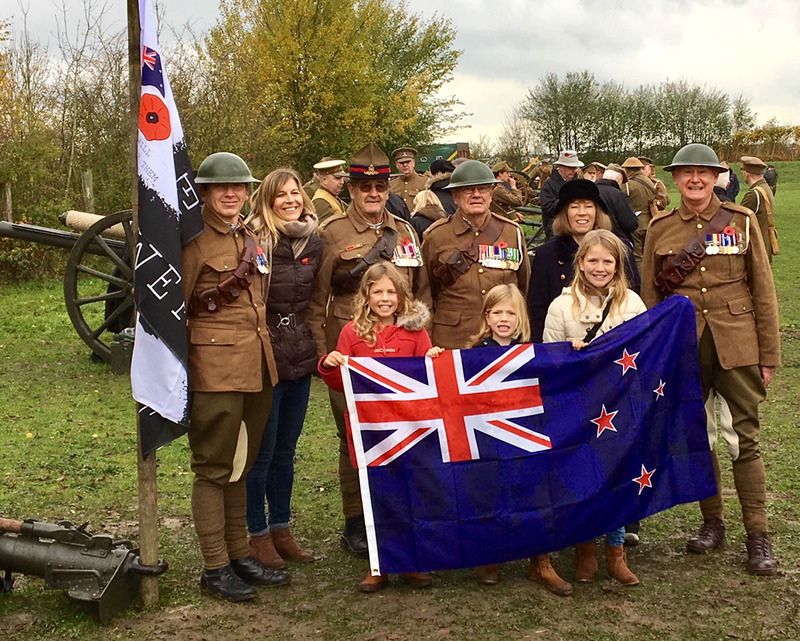 The NZ gun crew, which also included Lt Col Tom Ellen RA (rtd) ex RNZA, and Dean Russell ex RNZA, was supported by donations from New Zealand Gunners and a number of RSA's and Remembrance charities. Other photos of the event are below. Our ex RNZA detachment. L to R John Tulloch, Tom Ellen, Dean Russell, Dennis Dwane.